Four times a year, the big publishers have to speak very gently to their money men so’s not to unnerve them into selling their shares and sinking the company. It’s our job to listen in for clues – and EA’s financial call yesterday hid a doozy. 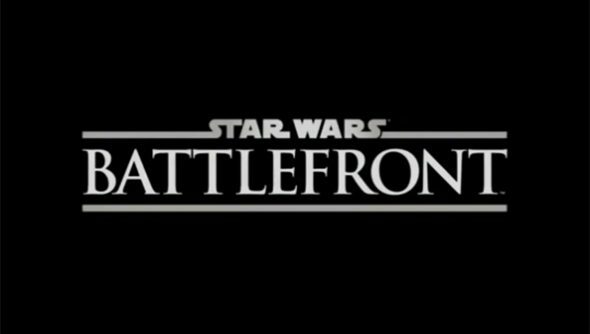 Star Wars: Battlefront is “coming along very well”, said CEO Andrew Wilson – adding that DICE’s sandbox shooter is one of a couple of Frostbite-powered games EA are boxing up to take to E3 this year. Wilson said the publisher “plan to show more” of the game at E3 – a year on from the game’s announcement via a Battlefront teaser trailer. Wilson said that DICE’s Stockholm dev team still have “lots more work to go”, however – a suggestion consistent with comments made by Battlefield producer Patrick Bach. “We weren’t cocky when we got the chance [to make Battlefront], because to take on something like this is scary, as you can imagine,” Bach said last year. “You can only screw up, right? DICE’s Battlefield pedigree makes them uniquely qualified to make big, vehicular multiplayer shooters – but also leaves them with the unique problem of distinguishing the game from their past work, beyond a Lucas-approved reskin. How would you go about it?